Please see below, the biographies of our confirmed speakers for Collaboration: Make it Work. Watch this space for further announcements! Julian Birkinshaw is a Fellow of the British Academy and was recently listed as one of the Thinkers50, the top management thinkers in the world. He is the author of fifteen books, including ‘Fast/Forward’, ‘Becoming a Better Boss’ and ‘Reinventing Management’, as well as over 100 articles in journals such as the Harvard Business Review and Sloan Management Review. Julian is regularly quoted in international media outlets, including CNN, the BBC, The Economist, The Wall Street Journal, The Huffington Post, Bloomberg Businessweek and The Times. He consults for major corporations around the world and is a frequent keynote speaker at events in Europe, North America and Australia. 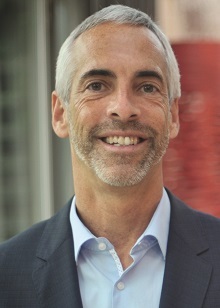 Guy Cocker is the Global Brand Director of Stuff, the biggest technology media brand in the world. He joined two years ago as Global Editor-in-Chief, and now oversees Stuff’s print, digital, app and global portfolio. His work has appeared in Wired, The Independent and The Telegraph, and he regularly appears as a tech expert on Sky News, CNN and BBC News. Guy was also lead consultant on the BBC's Make It Digital series and is a BAFTA member, event host and judge. 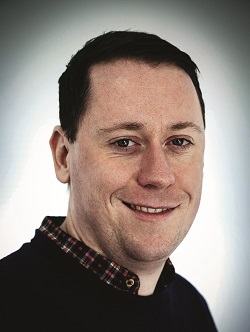 Stephen joined the NHS in 2014 as chief information officer for South London and Maudsley NHS Trust, having a technology background in digital marketing, the games industry, and high-tech manufacturing. Stephen’s current focus is on developing and executing the Trust's digital strategy and transforming the workforce, while providing real-world digital interventions in mental health and beyond. In 2017, South London & Maudsley was selected by NHSE to become London's global digital exemplar (GDE) for mental health services. Stephen was voted one of the UK's most influential CIOs last year and was nominated as chair for the London CIO Council for health providers across the capital in 2016. Julie is director of digital transformation and communication at Parkinson’s UK, one of the first of such roles to be created in the UK charity sector. 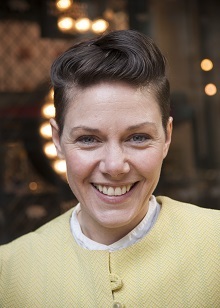 Julie is a former BBC creative director and is also the author of The New Reality – a report about the state of technology in the non-profit sector. Follow her on Twitter at @JulieDodd). Emily founded Seenit with the mission to unlock the power of the world's communities through video storytelling. Seenit today helps organisations around the world to direct, collect and create video with their own customers, employees and experts, and believes in putting the people who are most passionate at the forefront. Today they're working with clients such as The BBC, BT Sport, Benefit and HSBC. Emily was also named in the Forbes 30 Under 30. 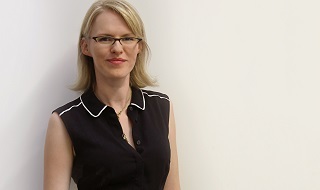 Kerri is the senior product Marketing Manager for Intelligent Communications in the UK. She has been with Microsoft for seven years starting in the era of Lync 2010 – previously working in the sales and partner teams. Kerri is passionate about helping customers understand how to evolve and develop their collaboration strategy, whilst promoting supportive mobile and diversity in the Modern Workplace. Kerri is responsible for the GTM strategy for Microsoft Collaboration Tools (Skype for Business, Teams and Yammer) working across the Product Group, Partner and Sales Teams. Zoe is a senior consultant with more than 10 years of experience helping corporations to develop strategic work environment designs, standards and strategy. She uses her expertise working with blue-chip clients to develop workplace environments that are linked to the organisation’s objectives and culture. She holds a BA (hons) in furniture and product design from Nottingham Trent University. Nick Ledger is a digital product manager at Atkins, part of SNC-Lavalin's Engineering Design and Project Management business, with a global role focused on the areas of collaboration, knowledge management, and innovation. Nick's mission is to help better connect people, knowledge and ideas together to create efficiencies and benefits in the modern workplace. Nick is also a Chartered Member of the Chartered Institute of Marketing. Follow him on Twitter (@njledger). 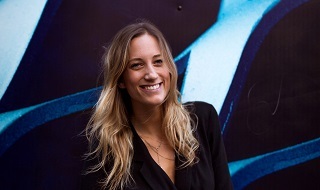 Kirsty joined LEON at the end of 2015 as brand and marketing director. She'd spent more than a decade working in ad agencies as a strategist, developing brand strategies, TV campaigns, social stunts and more for brands including Ben & Jerry’s, BBC, Volkswagen, AXE/Lynx and Audi. In that time she became very interested in the purpose of brands and how business can do well while doing good, so studied for a MSc in sustainability 2010-2012. Kirsty is fascinated by food - people’s reactions to it and relationships with it, including her own. Russ is the founder of Tech London Advocates and Global Tech Advocates, global advocacy groups of 5,000 senior leaders in the tech community, created to champion and accelerate the growth of London’s technology sector. Russ is a non-executive director for Unwire ApS and on the advisory boards of E2Exchange, Teen Tech, BBC Make It Digital, Growth Enabler and Founders4Schools. He was appointed a London Tech Ambassador for the Mayor of London in 2014. 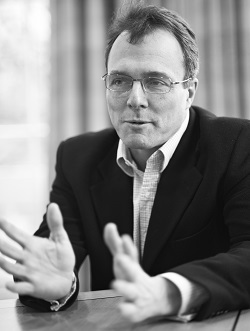 He is an angel and venture capital investor and was chairman of the Marketing Group of Great Britain. 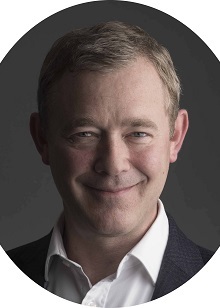 Previously, Russ held senior management positions at Skype, Telefonica/O2, ntl (now Virgin Media), Charles Schwab and American Express and was CEO of a later stage mobile startup called Mobileway (acquired by Sybase). Kate has been a business journalist for the past 17 years, editing Real Business magazine and writing for The Times, The Guardian and The Financial Times. At MT , you'll find her interviewing business big shots and entrepreneurs, commissioning columnists and running the Inspiring Women events.